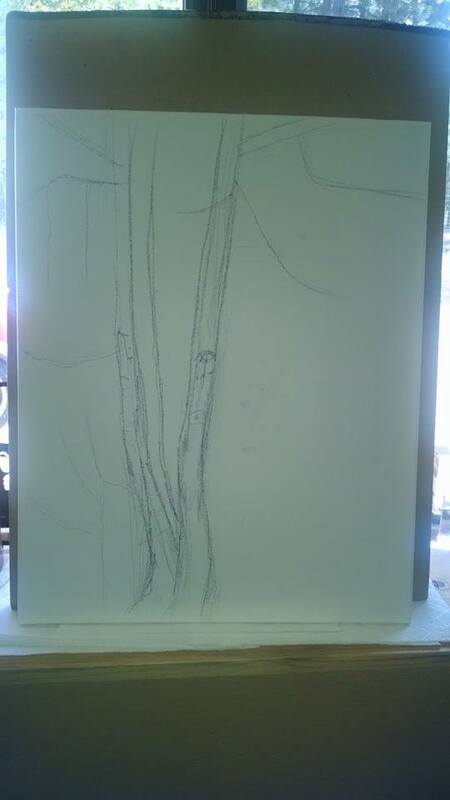 It has been a very long time since I last sat down and put my mind to starting a painting. In truth, I have always thought of myself as a painter, even though my degree focus was in illustration. 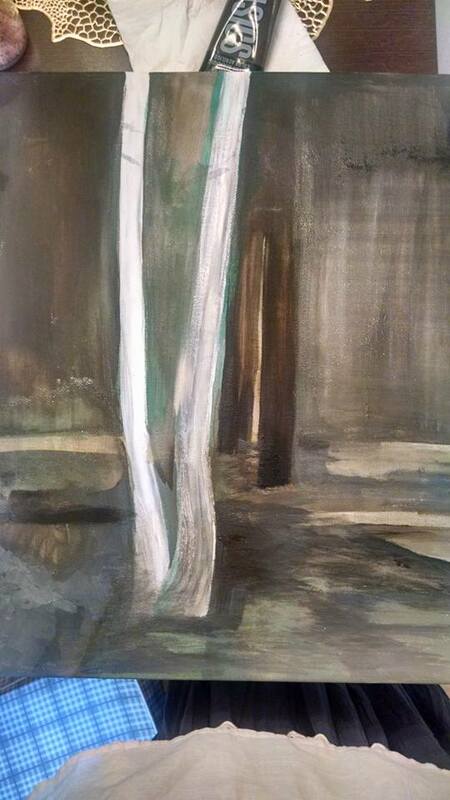 I had only discovered painting in my senior year of college and did not have enough credit hours under my belt to be able to use that medium in my final project. I knew right away, however, that I was hooked…. When we moved into our house in central Oregon, this was the view from the dining room window. One of my first thoughts was of how much I would like to make a painting of this tree. 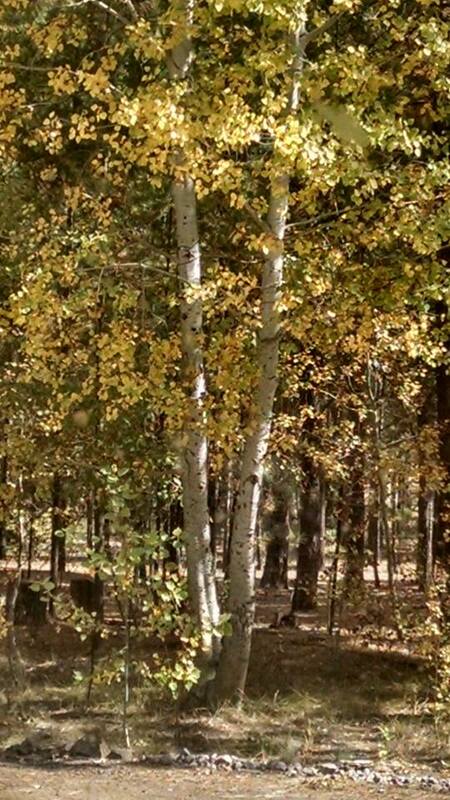 Aspen trees are one of my husband’s favorites. This tree, like all Aspens, captures the seasons so clearly and this autumn was no exception. At first, I tried to draw directly from the subject, but the constant back and forth, as well as the light to dark was giving me quite a headache. I have never been much for drawing out my subject anyway. There is something about drawing on a vertical surface that has always been a challenge for me. I used to get in trouble in college for insisting on moving my pad of paper, no matter how large, from the easel onto my lap. So, instead, I took a photo with my phone and used it as my primary reference. This was also helpful because the sun was moving in and out of the clouds all day making the lighting different every time I looked up. With a dirty brush and a limited palate, I scratched the primary shapes and color fields onto the canvas and called it an end of day one. Painting takes a CRAZY amount of concentration and a steady hand. These are two things that I no longer have, so I imagine this project will take some time to complete!